#FOSatAMF – biggest and best yet? | First Option Software Ltd.
#FOSatAMF – biggest and best yet? 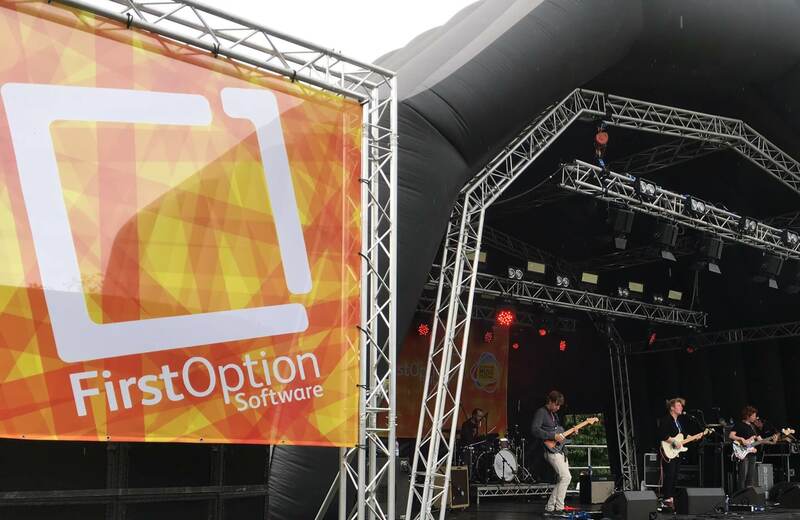 Hashtag #FOSatAMF (First Option Software at Alresford Music Festival) took on special significance this year as a Twitter competition kept FOS staff and passers-by amused as they took a pause between bands at what has become Alresford’s own Glastonbury. The seventh outing of this much loved festival, bigger and better than ever before and set in the rolling Hampshire countryside, set the bar even higher. Just a few minutes walk from the centre of our idyllic Georgian market town, 3,500 people of all ages came to enjoy the fine weather, friendly party atmosphere, 25 excellent bands across four stages, and a new extended layout creating space and freedom for kids of all ages to roam safely yet within easy sight. The large screen meant that stages could be seen and the music enjoyed from anywhere. The creation of a dedicated Family Arena in the bigger setting was inspired as there were so many new things to do, from bungee trampolining and a climbing wall, to glitter art and learning magic tricks. 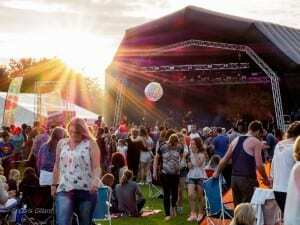 With four stages of live music, a packed festival village, a wide choice of tasty local and international food, a Ringwood fine ale bar, cocktail vans, sparkling wine and cider bars, many chose to arrive early and get the party started. The AMF team, as always, worked tirelessly to bring this not-for-profit event to reality; not content with creating a great festival, they build on its success year on year – for example free camping and shuttle buses, a new motorhome site and a Red Arrows flypast added to the whole experience. First Option has been there from the start, backing this community event that raises much needed funds for local deserving causes. 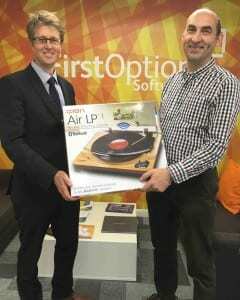 And each year, First Option Software is quietly visible as a principal sponsor, something we are very proud of and have pleasure in getting involved with. 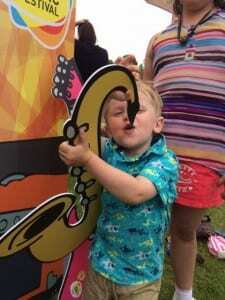 Judging by the look on young William’s face in this award winning picture tweeted by his dad Andrew Goldsworthy with hastag #FOSatAMF, Alresford Music Festival is set to provide great entertainment for all the family for a good many years to come! And certainly Andrew seemed pleased with his prize – a Bluetooth turntable for all those favourite vinyls.